An artificial pacemaker is an electronic device which sends out electrical impulses to the sinoatrial node (SA node) located in the right atrium to mimic the heart’s natural pacemaker. It is used to prevent the heart from beating abnormally and treats problems related to the rate/rhythm of the heartbeat. Basically, it’s a generator made up of a battery and a computer circuitry housed in a metal casing. Conventional pacemaker (with wires) casing is implanted under the skin in the upper chest or shoulder region. Its wires are threaded through the veins of the shoulder and guided into the heart with the help of X-rays. Once the wires are positioned in the heart they are hooked up to the generator. On the other hand, the wireless (leadless) pacemaker is a very small device which can be placed directly inside the patient’s heart. To understand ‘tiny leadless pacemaker’ it’s essential to be adequately aware of the heart’s electrical system. The heart pumps blood with a rhythm determined by a group of pacemaking cells in the sinus node or SA node located in the right atrium. It’s our body’s natural pacemaker and uses electrical signals to set the pace. An electrical impulse triggers each contraction and sets the timing of the whole process, since timing is critical for the heart. The electrical conduction system of the heart transmits an electrical signal generated in the SA node, through the right atrium to the atrioventricular (AV) node to cause contraction of the heart muscles to pump blood as necessary. The AV node serves as a gate that slows the electrical current received from the SA node before the signal is permitted to pass down through to the ventricles. This delay ensures that the atria have a chance to fully contract before the ventricles are stimulated. 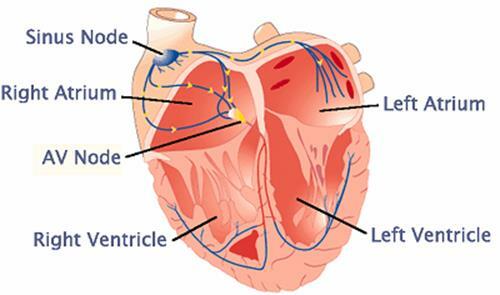 After passing the AV node, the electrical current travels to the ventricles along the special fibers embedded in the walls of the lower part of the heart. Electricity is key to survival of heart, since the electrical signals are fast and allow instantaneous response to control messages. For example, if our bodies were banked exclusively on the motion of chemicals to direct our heart to speed up when we have a threat and are far from safety, we probably would’ve died long ago. These crucial signals that tell our heart to speed up when we’re in danger come from a group of cells in the SA node that regulate the pulse of our heartbeat and the blood flow from the heart to every other part of our body. Without a perfect heartbeat, blood can’t move to the desired destinations in our body, and in order to be perfect, the heartbeat needs to be stable. Breakdown of the heart’s electrical system is called atrial fibrillation (also called AFib or AF). This causes the heart to start generating electrical impulses at more than one place, apart from the SA node and can result in a pulse rate higher than the pace of a normal heart. With too many triggers, the right atrium can’t possibly contract fully each time. Meaning it never gets a full pump of blood into right ventricle. By this happening, the body gets deprived of blood and weakens the heartbeat, causing all sorts of issues. If the heart can’t get enough blood pumping through the body, the body and especially the brain suffer from lack of oxygen. 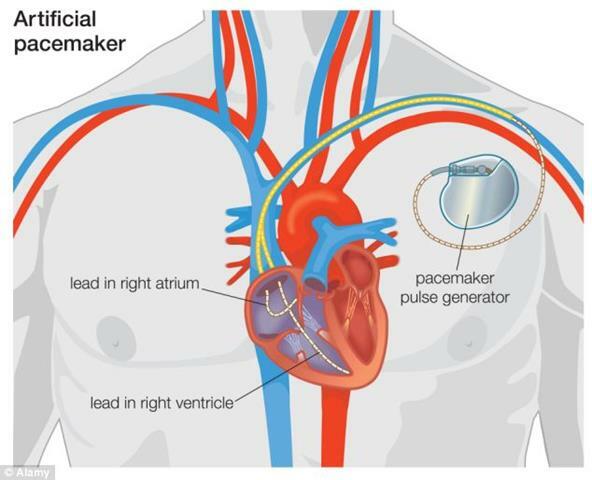 The artificial pacemaker stabilizes the system by taking over the job from natural pacemaker of sending out electrical impulses and getting the heart back into its regular rhythm. Medtronic’s Micra Pacemaker was approved by the FDA for use in the United States on April 6, 2016. This tiny device is implanted inside the patient’s heart and small tines then attach to the heart wall. 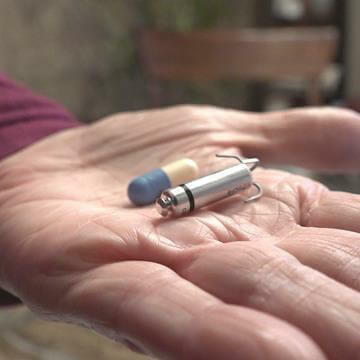 It is 93% smaller than conventional pacemakers, about the size of a large vitamin capsule. Micra is less invasive and can be implanted into either side of the heart using a catheter inserted via the leg arteries, similar to how stents are currently placed. So, no chest incision, scar, or bump that results from conventional pacemakers. It is completely self-contained within the heart. It eliminates potential medical complications arising from a chest incision and from wires running from a conventional pacemaker into the heart. Adjusts your heart rate automatically by sensing changes in your body related to your activity level and adjusting your heart rate accordingly. 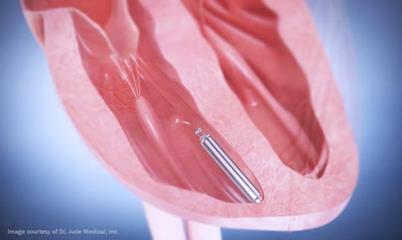 Nanostim is another tiny pacemaker in the market, manufactured by St. Jude Medical. It only measures 6mm in diameter and 42mm in length and has estimated lifetime of 15 years. After performing a quick prior art search it has been observed that there are only few patents available in the field of “tiny leadless pacemaker” when compared to the traditional lead (wired) pacemaker. 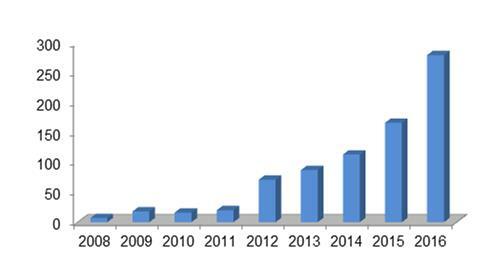 There has been exponential growth of patent activity over the last 5 years since the first patent publication in the field of ‘leadless pacemaker’ with the United States leading all other nations in patent filings followed by Europe, China and Japan. Medtronic and Cardiac Pacemakers, Inc. are two top assignees who own almost 30% of the patents in this field. Many improvements such as improved battery life, size, number of electrodes, the way doctors surgically place the pacemaker inside heart and security from hackers are being done to the existing small leadless pacemakers’ technology. Because of the growing aging population worldwide and unhealthy lifestyle, a large number of people across the globe are suffering from heart related diseases and need pacemakers to survive in most of the cases. Therefore, many more patent applications are expected to be filed in this field worldwide. The decision to implant this medical device comes with its own set of risks. Security and privacy concerns have been raised with pacemakers that allow wireless communication. 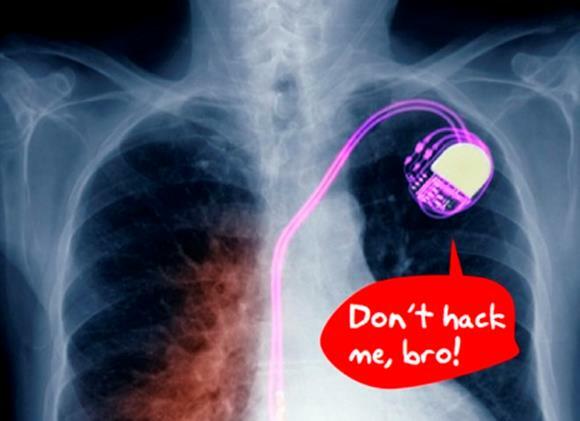 It is already established that pacemakers can be prone to hacking. It’s possible to extract sensitive personal data contained in the pacemaker, or even to threaten the patient’s life by turning off or changing the pace by re programming it. As of now, such attacks require close proximity to the patient, and could not be carried out remotely. In almost all cases, the advantage of having this device clearly outweighs the risk, since the pacemaker recipient would probably not be living without the pacemaker. No patients have, till date, been killed due to a hacked pacemaker, but patients have been killed due to malfunction of their medical devices’, configuration errors, and software bugs.